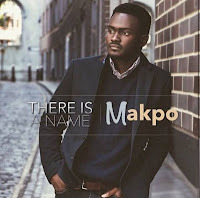 The 8-Track Album Project Chronicles A Memoir of Makpo’s Journey And Walk With God! With the release of ‘Overcome Today’ in the offing, Makpo, a Worship Leader and Musician at Praise Embassy Basingstoke, makes his debut. In his professional life, Makpo trained as an Economist and obtained a Master of Science Degree in Economics from the University of Leeds before his launch in the Computer Business Analyst Market. Albeit, ‘nothing’ in his words, ‘compare to the moments spent in the place of worship’. It is hoped that Makpo’s repertoire of soothing, energetic, creative sounds conveys the good-news of Christ’s ministry to every listener.